A call to Eric Trupheme at Ocean Independence brings news that he's signed the 42.2m sailing yacht Perla del Mare for sale. 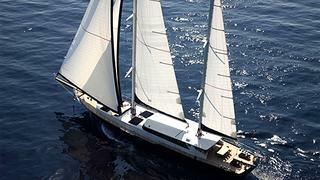 Built by Saba Yacht to RINA class in 2010 in cold moulded mahogany, Perla del Mare has a classic Mediterranean style. Her vast, contemporary interior has plenty of natural lighting, and can accommodate up to 12 guests in six staterooms. Lying in Marmaris, Turkey, Perla del Mare is asking €4.5 million.